The four branches of the Granville County Library System will offer several new and innovative events and programs during the month of March. On Saturday, March 2 and Saturday, March 9, Women’s History Month is celebrated as two female authors are featured. Children’s author Amber Parker of New Bern, NC will be on hand at the South Branch Library on March 2 to discuss her books at 3 p.m. Young readers are especially invited to experience the world of nature she describes. Following up on that presentation will be a book signing at the Berea Branch on March 9 at 11 a.m. as author Faye Little presents her work, “Snapshots of a Country Diary.” Originally from Berea, Little (formerly Faye Adcock) now lives in Virginia and will share memories of growing up and living on the family farm. For more details about these presentations, contact the South Branch Library at (919) 528-1752 or the Berea branch at (919) 693-1231. Other events to be presented for Women’s History Month, in conjunction with Friends of the Library, include a program by Dr. Christine Darden, a “Hidden Figure” of NASA fame, on March 3 at 2 p.m.; “The Status of Women in North Carolina” at 7 p.m. on March 6, with featured speaker Mary Williams Stover of the N.C. Council on Women; The Poetry of Mary Oliver on March 11 at noon; “Three Questions to Ask Yourself” discussion by Stacy Abrams, March 13 at 7 p.m.; “The Rise and Fall of the Rocket Girls” book discussion on March 15 at 11 a.m.; “African American Women and the Suffrage Movement” presentation on March 20 at 7 p.m.; and “The Political Progress Women Have Made,” facilitated by Cecile Richards at 7 p.m. on March 27. All of these events will be held at the Thornton Library. Brightstar Touring Theatre will also present “American Women in History” at 5 p.m. on March 9. This production puts the spotlight on some of the world’s most remarkable female pioneers such as Sacajawea, Susan B. Anthony and many more. This program is also open to the public and will be held at the South Branch Library in Creedmoor. Women aren’t the only focus for the month of March, however, as registered participants can follow mysterious clues from the “wizard world” to escape a “locked” room inside the Thornton Library. Reading all seven Harry Potter books before participating in the Escape Room is helpful but not required, according to Children’s Librarian Amy Carlson. While the registration list is full, a waiting list is now available for those who have not yet signed up to participate. The Harry Potter Escape Room will be open to registered participants of all ages on Friday, March 22 and Saturday, March 23. Learn more at Granville.lib.nc.us. Children’s programming for March includes story time at the Stovall branch (Mondays) and at the Thornton branch (Wednesdays), with topics of “Opposites,” “Once Upon a Time,” “Spring” and “My Emotions.” The Lego Club will also meet every Tuesday in March at the Thornton branch from 3:30 until 4:45 p.m. STEAM (Science, Technology, Engineering, Art and Math) programming continues on Thursday afternoons for students in grades K through 5. Held each week at 4 p.m., March topics include robot play, a presentation on the importance of clean water, building flashlights and building bridges. To participate or for more details, contact Amy Carlson at 919-693-1121, ext. 212. Other hands-on activities include a crotchet class at the South Branch, scheduled for 2 p.m. on March 18. This workshop is open to the public and all materials will be provided. A “makerspace” is also a new feature of the Thornton Library and consists of yarn, knitting needles, fabric scraps, etc. which have been donated for use by library patrons. Ask about it at the library checkout counter! In addition, a “Seed Library” is being established at the Thornton branch. By the end of March, library patrons will be able to “check out” vegetable seeds with their library card to take home and plant in their gardens. It is hoped that residents who utilize this service will cultivate these plants and share their seeds with the library after harvest for “checkout” the following season by other interested gardeners. Your local library is not just for books anymore! 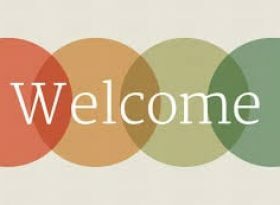 Find out “what’s new” at one of the four branches of the Granville County Library System in Oxford, Creedmoor, Stovall or Berea today, or visit https://granville.lib.nc.us/ for a full listing of events at the library closest to you. The Creative Lifelong Learning (CLL) classes and events continue to be provided through Granville County Senior Services as the next quarter approaches. In observance of World Water Day (March 22), CLL is partnering with Wine to Water, a non-profit organization located in Boone, NC to help build awareness of the world’s water crisis while providing a fun, interactive filter build experience. This free event is open to the public and is scheduled for Friday, March 8 from 3 until 4 p.m. at the Granville County Senior Center in Oxford. 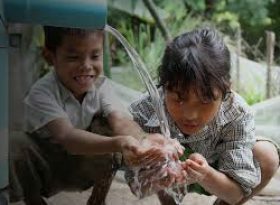 Facts about the water crisis will be provided during the hands-on experience as filters are assembled to provide clean water around the world. Each filter can provide ten people with clean water for more than ten years. Although the event is free, there is opportunity to contribute to the cost of building filters and the logistics of getting them to remote areas around the world. You may make your tax deductible donation at the event or visit the campaign site at https://bit.ly/2SiWm8A. The campaign will be open through the end of March. The Oxford Rotary Club has already made a large contribution to this campaign. Oher civic and church organizations are also invited to contribute. The Trojan War: Myth & History scheduled March 13 through April 10 (Wednesdays) 2:30 until 3:30 p.m. Classes are open to all interested adults. Ideas for classes, events and other opportunities are welcome for the next curriculum year. Those interested in teaching classes may contact the Senior Center or apply through the Granville County Government website. The Granville County Senior Center in Oxford is located at 107 Lanier Street. To learn more about the CLL program and scheduled classes, visit www.granvillecounty.org/residents/senior-services/center-lifelong-learning/ or contact Granville County Senior Services at 919-693-1930. Annual tax appraisals for new constructions are now being conducted. According to Granville County Tax Administrator Sharon Brooks-Powell, representatives of Pearson Appraisal Service, Inc. – contracted by Granville County Government – are in the field and will be working through the end of May. Project Manager Randy Willis, as well as appraisers Audrey Pruitt and Michael Casey, will be wearing photo identification badges, which include the Granville County Seal, for authentication purposes and to verify the purpose of their visits to local property owners. 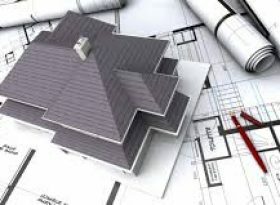 The results of their on-site appraisals – which concentrate on new construction only – will be accessed on the 2019 annual notices. To learn more about the tax appraisal process, contact the Granville County Tax Administrators office at 919-693-4181. 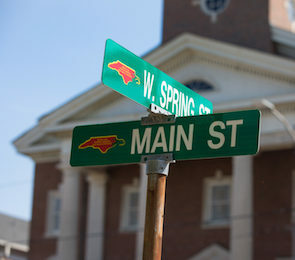 For more information about Granville County Government and the services and programs it provides, visit www.granvillecounty.org. 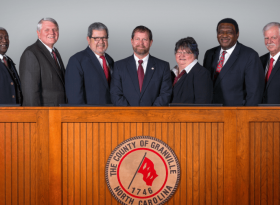 The Granville County Board of Commissioners will hold their annual retreat on Thursday, Feb. 21 and Friday, Feb. 22, 2019, at the Granville Expo and Convention Center in Oxford. Thursday’s meeting begins at 4:30 p.m.; Friday’s session begins at 8:15 a.m.
Strategic Plan Objective #1: through economic development activities and efforts, increase the county-wide tax base by approximately $80 million annually. Strategic Plan Objective #2: improve inter-local government relationships through partnerships and shared services. Strategic Plan Objective #3: educate the community to improve public awareness of local government issues, activities, benefits and opportunities. Strategic Plan Objective #4: reduce the County’s annual personnel turnover rate due to resignations and terminations to 6% or less by 2020. Strategic Plan Objective #5: improve employee recognition and boost morale through the implementation of an Awards and Recognition Program (A&R). Strategic Plan Objective #6: improve and increase the number of volunteer programs, sites and opportunities within the County Government. Strategic Plan Objective #7: identify public safety requirements and improve communication of services with the public. View the Retreat agenda here. Granville County Tourism Director Angela Allen will be attending the Southeast Tourism Society (STS) Marketing College in May. The session will cover a broad-based curriculum of courses designed to teach marketing techniques from all facets of the tourism industry. Allen has been named recipient of a full scholarship through the Miles Partnership, a worldwide marketing services team which helps promote travel experiences, to attend this session. A selection committee comprised of industry professionals recently notified Allen that she had been chosen for this scholarship, which will cover tuition and accommodations. This is the second time Allen has received this scholarship from the Miles Partnership. The 2017 “Rising Star” of the North Carolina Tourism Industry Association plans to continue gaining leadership and marketing skills at this upcoming training session, which will be held on the campus of the University of North Georgia from May 12 through May 17. 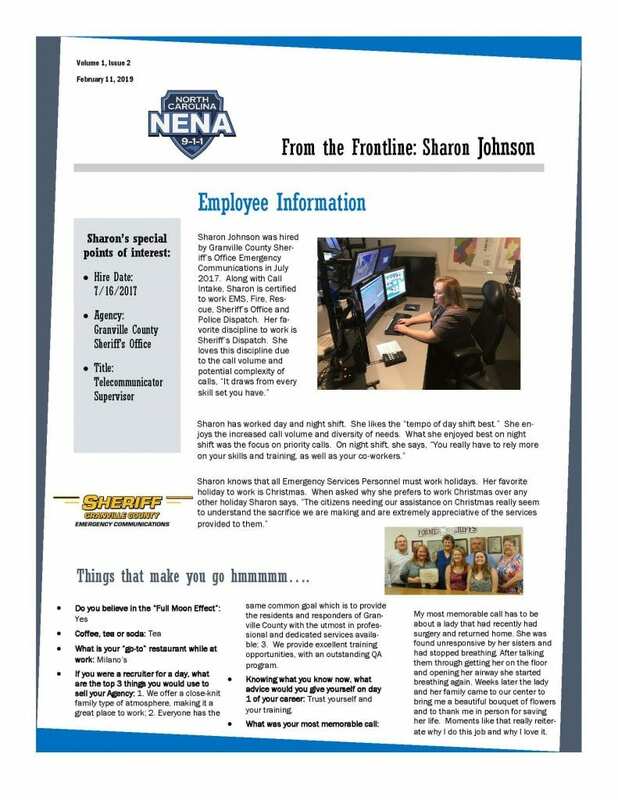 Sharon Johnson of the Granville County Sheriff’s Office Emergency Communications Center was singled out for the N.C. NENA (National Emergency Number Association) professional newsletter in February. 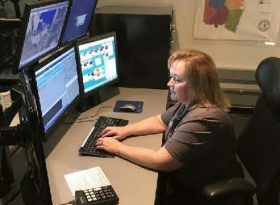 Sharon Johnson was hired by Granville County Sheriff’s Office Emergency Communications in July 2017. Along with call intake, Sharon is certified to work in EMS, Fire, Rescue, Sheriff’s Office and Police Dispatch. Her favorite discipline to work is Sheriff’s Dispatch. She loves this discipline due to the call volume and potential complexity of calls. “It draws from every skill set you have,” she said. Sharon knows that all Emergency Services Personnel must work holidays. Her favorite holiday to work is Christmas. When asked why she prefers to work Christmas over any other holiday, Sharon says, “The citizens needing our assistance on Christmas really see to understand the sacrifice we are making and are extremely appreciative of the services provided to them. The addition of thirty (30) recycle containers to the Granville Athletic Park (GAP) in Oxford will help keep the area clean and educate the public about the importance of recycling. 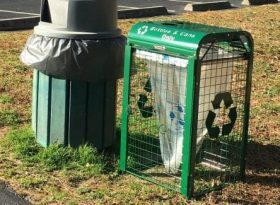 The bins were funded through a grant from the N.C. Department of Environmental Quality and are being paired with existing outdoor trash containers. 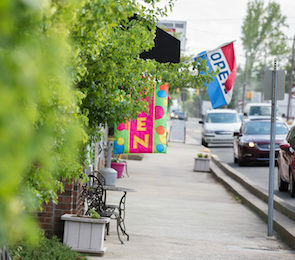 With a recycling message on each bin, the goal is to provide collection sites for plastic water bottles and aluminum cans for visitor use at the GAP, which is one of the largest public spaces in Granville County. The GAP is currently used by thousands of walking enthusiasts, high school sports leagues, traveling sports teams, day cares (playground equipment) and families who meet for local gatherings, competitions and for exercise. Before the installation of the new containers, the GAP had only two outdoor athletic bins that housed six 96-gallon recycle carts. Located near the baseball tournament fields, these bins filled up quickly in just one weekend – and even more often during tournament season. It is expected that the addition of thirty more containers throughout the 69-acre site will positively impact waste collection. Baker notes that a tracking system will be put into place to monitor the waste stream and that an increase in tonnage recovered by Waste Industries is expected, decreasing input in the local landfill, as well as the associated costs that come with solid waste disposal. Over the last seven years, a renewed effort has been made to address the litter issue in Granville County. According to Baker, progress has been made as there has been a push to increase the county’s recycling yield. Granville County has grown from having one of the lowest collection rates in the state to being among the top 30 counties with high recycling yields in North Carolina. As the GAP works towards an eleven-acre expansion, recycling efforts will become even more significant as a targeted recycling program will carry over into the newest phase. These new recycling containers have a life cycle of 8 to 10 years and are placed in high-traffic locations throughout Granville Athletic Park. To learn more about recycling efforts in Granville County, contact Baker at (919) 725-1417. 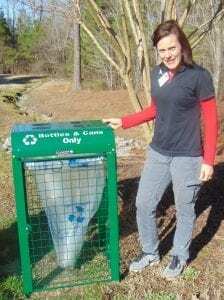 Pictured is Granville County’s Recycling Coordinator Teresa Baker with one of the new bins at Granville Athletic Park. Justin Ayscue of Oxford has been re-hired as Director of Human Resources for Granville County Government. Ayscue comes to county administration with more than 20 years’ experience in human resources/management, and was previously employed as HR Director for Granville County from November of 2008 to May of 2014. For the past four years, he has served as Human Resources Director for the City of Oxford. As Granville County Government’s HR Director, Ayscue will be responsible for all aspects of personnel management, ensuring the County is in compliance with all applicable Federal and State labor laws. In addition, he will administer all County-sponsored employee benefits for a workforce of more than 300 staff members, will oversee Worker’s Compensation and act as the primary source of information pertaining to payroll deductions, retirement, disability, etc. for employees and retirees. He will also be responsible for setting and allocating the county’s HR budget and for annual reports to the Department of Labor and reports to OSHA. 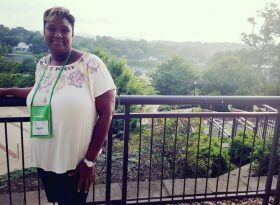 Prior to working in city and county government, Ayscue served as HR Director for Handcrafted Homes, LLC of Henderson and in supervisory roles for the Employment Security Commission in Vance, Franklin and Warren Counties. 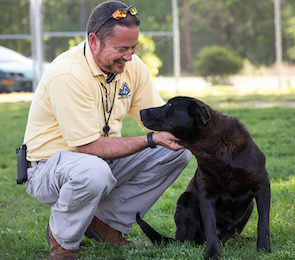 A graduate of N.C. State University, Ayscue holds a degree in Business Management – with concentrations in Human Resource Management and Finance – and completed training in a two-year Certified Public Manager Program at the N.C. Office of State Personnel in Raleigh in 2006. He also holds certifications as “SPHR” (Senior Professional in Human Resources) and “SHRM-SCP” (Society for Human Resources Management, Senior Certified Professional). He and his wife Amy have two children, ages 15 and 18, and attend Central Baptist Church in Henderson. The Granville County Library System welcomes Andrew Maloney as branch manager of the Richard H. Thornton Library in Oxford. Maloney comes to Granville County from the Boston Public Library in Boston, MA, where he served in several capacities ranging from Fine Arts Archivist and Music Specialist to Readers’ Services Librarian. He brings with him knowledge and experience in cultural research, program development, collections management and library technology, and has plans to use these skills to continue and further enhance the programming already in place. Maloney also credits the library’s Board of Trustees and the Friends of the Library for their enthusiastic support of the Thornton Library. A new resident of Durham, Maloney is a 2012 graduate of the University of Connecticut, majoring in English and Political Science. He received his Master’s degree in Library and information Science at Simmons College Graduate School and earned his North Carolina Public Librarian Certification in 2018. Will Robinson will continue to serve as Director for all four branches of the Granville County Library System, which are located in Oxford, Creedmoor, Stovall and Berea. 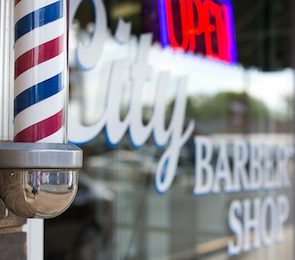 Both Maloney and Robinson can be reached at 919-693-1121. 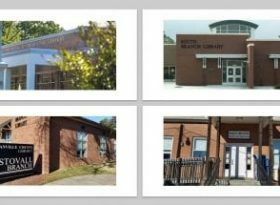 For more information about the Granville County public libraries, visit https://granville.lib.nc.us/. Both Ayscue and Maloney began work in their new roles on Feb. 1. 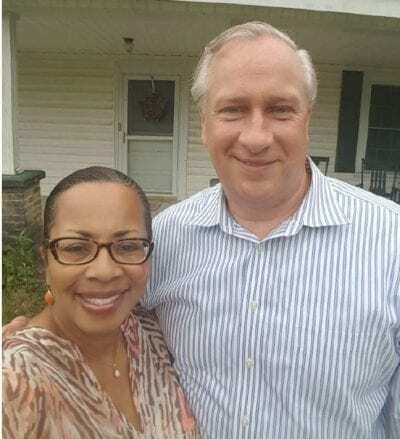 What started as two separate genealogical research projects – one by a woman of primarily African ancestry and one by a man of European descent – eventually intersected when a DNA match connected the two, leading them back to Granville County. The story of the ancestral search of Pamela Williams of Virginia and James Wilson of South Carolina has been presented in educational programs at the N.C. Museum of History in Raleigh and twice at the DeWitt Wallace Decorative Arts Museum for the Colonial Williamsburg Foundation of Williamsburg, VA. On Saturday, Feb. 23, the story will come “home” to Granville County during a program in celebration of Black History Month. “Two Races, One Family” will be presented at 1:30 p.m. at the Richard H. Thornton Library as Ms. Williams describes the journey that led to finding her ancestor “Henry,” a Granville County slave prior to the Civil War. What she had not counted on, however, was finding a modern-day relative, James Wilson, who had also been researching his own family tree. Through online genealogical research, as well as through centuries-old documents and court records, both Williams and Wilson followed leads to an 1842 court case involving the intestate estate of Robert Burton Wilson (James’ 4th great-grandfather) which listed 28 slaves. One of these slaves was Williams’ second great-grandfather “Henry,” along with his mother “Hanah,” who would have been Williams’ third great-grandmother. Through DNA testing in 2016, it was determined that Williams and Wilson had a common paternal ancestor, which made them distant cousins. The February 23 presentation at the Thornton Library will include the story of Williams’ and Wilson’s personal ancestral journeys, focusing on Williams’ traditional and online genealogy research, Wilson’s ancestry research and family tree development, and the DNA testing that brought the two researchers together. The presentation will also bring to light cultural norms of the period and an insight into the slave/master relationships of tobacco plantations during the Colonial/Antebellum era. A retired Probate Specialist from the Spotsylvania Circuit Court (VA), Pamela Williams – a native of Granville County and a 1977 graduate of J.F. Webb High School – is a paralegal employed with Herndon Law, P.C. in Glen Allen, VA. She has 20 years’ experience in ancestry research and preservation and has spoken at numerous conferences on genealogy and the importance of court records and historical documents in researching ancestral heritage. 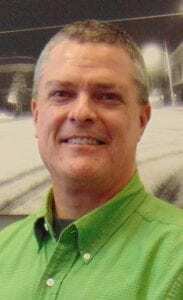 James Wilson, who began his genealogical research as a hobby, is Chief Performance Officer for a North Carolina 100 company. 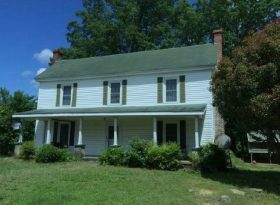 He grew up on a plot of land that was once owned by his 5th great-grandfather John Wilson, who was one of the early European settlers in Granville County in the 1760’s. Today, James lives in Greenville, SC. Wilson’s daughter, Dr. Jamie Wilson, provided the cultural context of the research conducted by both Williams and her father. Dr. Wilson holds a Ph.D. in U.S. History and is an adjunct professor of history at the University of South Carolina. She is considered an expert on antebellum slavery. The “Two Races, One Family” presentation is open to the public and all interested in learning more about genealogy, the use of historical archives, Colonial plantations, slavery laws in Granville County and how the lives of these two researchers eventually intersected are invited to attend. For further information about this program, contact the Richard H. Thornton Library at 919-693-1121.